ASUS RT-AC53U Dual-band Wireless-AC1200 router delivers high-speed performance for web streaming up to 4K Ultra HD videos, online gaming with support for latest gen consoles such as Xbox One and PlayStation® 4 and performing other bandwidth-intensive tasks1. 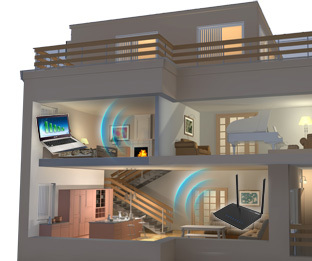 RT-AC53U delivers wireless-AC speeds up to 867 Mbps on the 5 GHz band thats 3 times faster than standard wireless-N. This high performance wireless lets you enjoy ultra-smooth online gaming, snappier web surfing and other bandwidth-demanding tasks without a wired connection. Delivering 2.4GHz and 5GHz concurrent bands at up to 300Mbps and 867Mbps, respectively, RT-AC55U has a total speed of up to 1167Mbps, and maintains advanced stability. You can perform basic tasks like web browsing and file downloading on the 2.4GHz band, while simultaneously allowing multiple devices to stream in 4K Ultra HD videos or support online gaming and other bandwidth-demanding applications smoothly on the clearer 5GHz band. 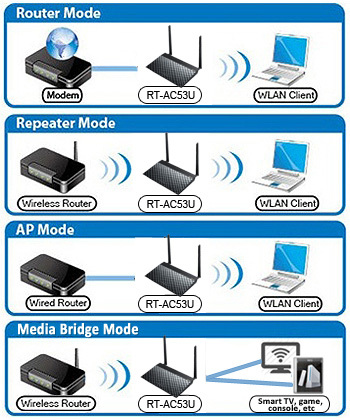 Make RT-AC53U your media and device center. 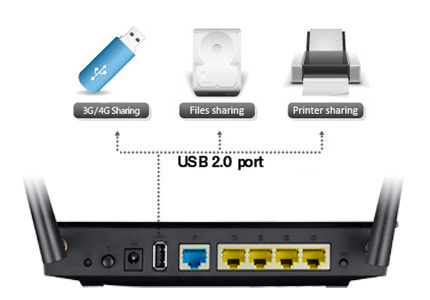 With built-in USB 2.0 port, connect external storage drives, printers, scanners and many other USB-enabled devices to share with your networked PCs. 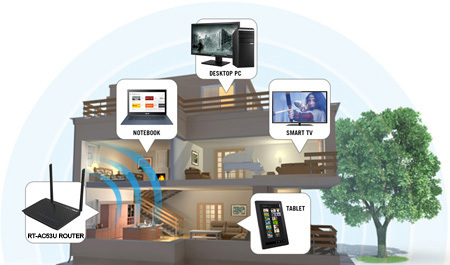 Having your devices networked, lets you access them easier than ever before. 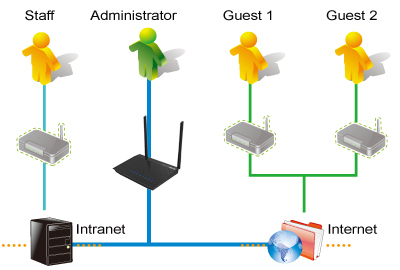 Easy to use and highly intuitive, ASUSWRT dashboard UI offers complete network management. Whether youre a gamer or HD media enthusiast get improved performance with ASUS Quality of Service (QoS) bandwidth prioritization that optimizes internet speeds for your specified tasks. Plus, the traffic monitor allows you to check your web usage in a clear graphical interface. 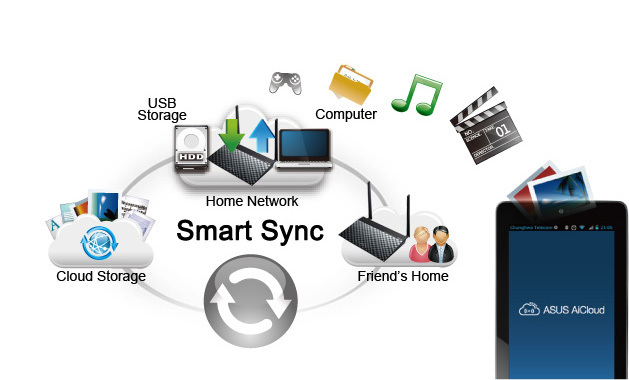 Along with that, the Download Master feature ensures better network productivity and management. One-click settings enable easy troubleshooting, printer setup and parental controls. In less than 30 seconds and in only 3 easy steps, effortlessly set up your ASUS router through the simple user interface to start surfing the internet in record time. Step 1: plug in the necessary cables. Step 2: open your web browser to instantly activate the setup wizard. Step 3: complete the setup wizard setup. And youre ready to start surfing the web! No CDs, complicated manuals or time-consuming operations. We made setup quick and easy so you can start experiencing the best of the internet with your ASUS router.